CHARLES MORGAN REID (6 Jun 1877 – 25 Sep 1929) was born in Armuchee, Floyd County, Georgia the son of Marcus D Lafayette Reid and Nancy Elizabeth Duke. Charles was born 4 months after his parents were introduced to the Gospel of Jesus Christ under miraculous and courageous circumstances. 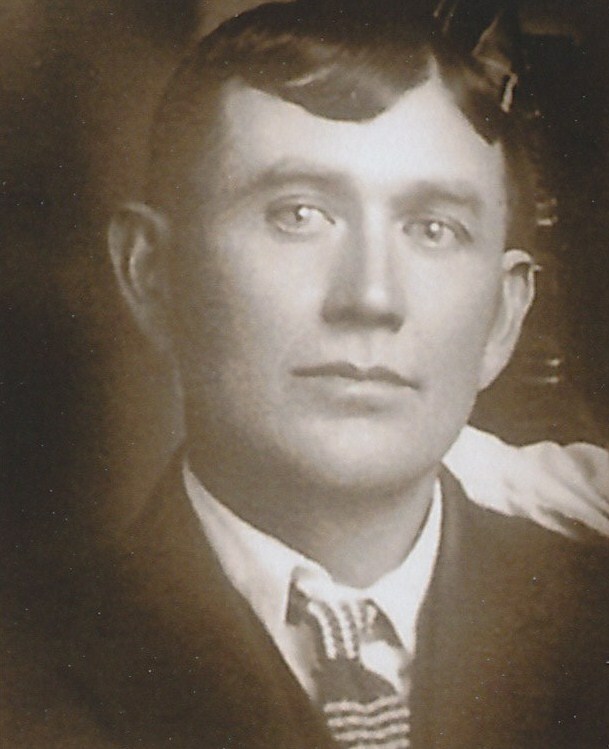 One of the missionaries who brought that message to his parents, Elder John Morgan, was Charles’ namesake. Undoubtedly, Charles learned of the significance of his name early in life, and likely was challenged by his father to bear the Morgan and Reid names well. 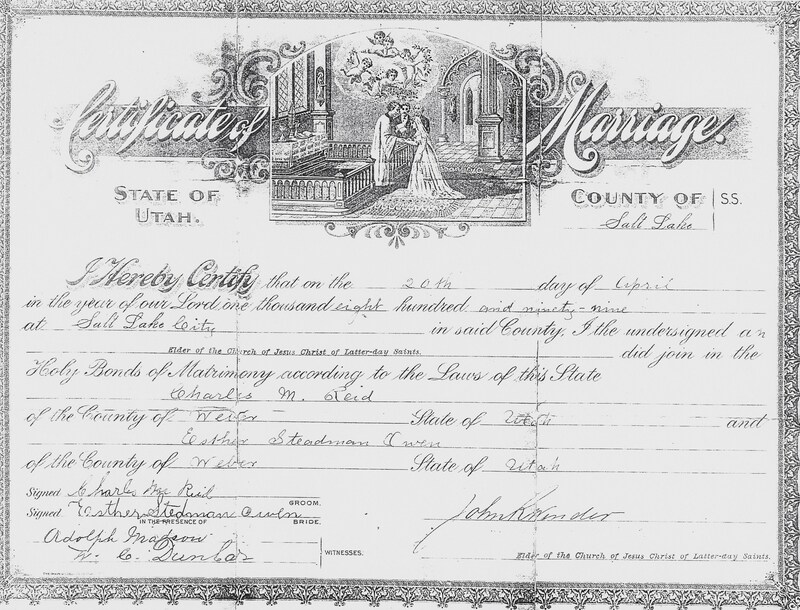 Charles married Esther Weir Stedman in Salt Lake City, Salt Lake County, Utah on 20 Apr 1899. He and Esther lived much of their married lives in Clinton, Davis County, Utah on a 20-acre farm that Charles and his brother George Washington Bailey Reid joined together to purchase prior to George’s unexpected death of cancer. Charles lived on his Clinton farm until his health failed due to debilitating injury and disease. About two years before his death, Charles was admitted to the Mental Health facility in Provo, Utah for treatment. He never recovered, and died at the facility on 25 Sep 1929 at age 52. Charles is buried in the Clinton City Cemetery, Clinton, Davis County, Utah. Early in his youth, and often thereafter, Charles faced many physical and emotional trials. Among them, early illness that nearly claimed his life. The loss of two of his first three children before they reached the age of three. The near loss of his 2-year-old son George to an accidental death. The unexpected death of his younger brother and business partner. These trials, along with the consequences from poor judgment and personal lifestyle choices, were some of the events that shaped Charles’ life. From what we know of him, Charles did his best to accept every challenge with the same courage and determination that his father and Elder Morgan had been known for. In spite of his challenges, Charlie was a friend to all who knew him, generous, kind, and one who was quick to respond to the needs of others. To that end, John Hamilton Morgan and Marcus D Lafayette Reid would be proud of the man who bore their names. For all Reids who follow, may we too exemplify grace in the midst of personal despair, and draw upon similar courage and determination to face our own personal challenges and weaknesses. 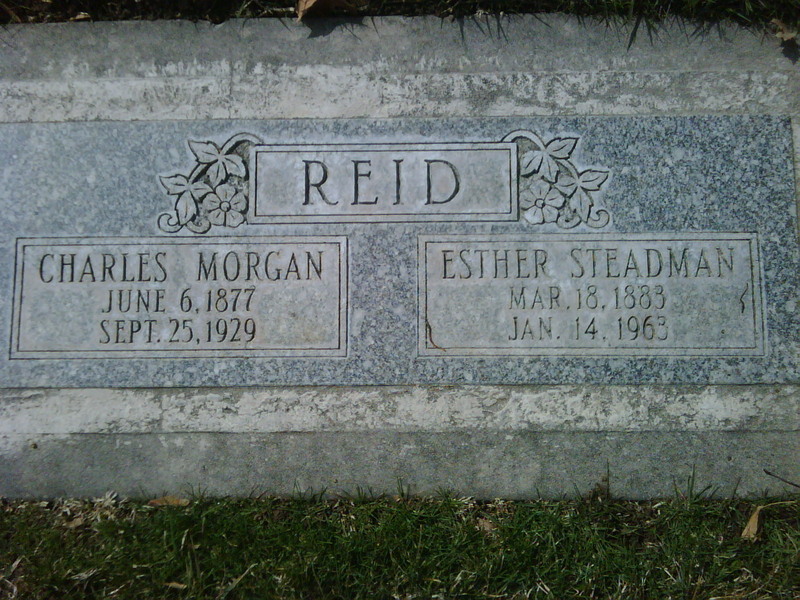 For such was the legacy of our forefather, Charles Morgan Reid.
. . . When the Civil War came along Grandfather Reid lived in Georgia and was influenced to support the South, was wounded 5 times. He was in the Battle of Bull Run. He told his sons it was a rich man’s quarrel and a poor man’s fight. He felt the Lord had a hand in preserving the Union. That’s why the South lost. After the war his wife died, he later married Nancy Elizabeth Duke. She was sixteen years old. Her mother died when she was young and her father remarried. Nancy Elizabeth Duke is my Grandmother a wonderful lady and Grandfather was always kind and gentle with her. He was a farmer and raised cotton. One day he went to town to get supplies and he found the people all excited, they had two Mormon Elders and they were preparing to tar and feather them and run them out of town. Grand Father didn’t like this idea so he carefully slipped them away and took them home with him. Grand Mother wasn’t very happy about having strangers in her home under these conditions and in her anger she took a bucket out to the spring for water. She stooped down filled the bucket with water and as she straightened up she was tapped on the shoulder from behind. She turned and there stood a man, he had a long white beard and glowing white hair and he said: “Sister Reid you have in your home the Elders of Israel, Servants of the living God; as you care for them your home will be blessed.” She stooped to refill her bucket and as she turned again he was gone. She repented and was kind and pleasant to the Elders. That night here came the mob demanding the Elders. Grand Father with rifle in hand stood before them and said: ‘These Elders are my guests. They haven’t harmed any of you and you are not going to harm them until you have killed me and before you kill me I’ll kill some you. Now go on home.” So they backed away and went home. From that experience they became interested in the Gospel and were baptized Feb 10, 1877. My father was born the following June 6, 1877 and father was named Charles Morgan Reid after Elder John Morgan who the family loved so very much. It’s hard for us to realize how intense the persecution against Mormon missionaries in the South was in those days; clearly, it was a courageous move on the part of this couple to protect Elder Morgan and his companion from the mobbing neighbors. It must have taken even greater courage to accept baptism, thus estranging themselves forever from their previous associates. One wonders who the man with the “long white beard and glowing white hair: was; maybe John the Beloved, maybe one of the Three Nephites. Someday, we’ll undoubtedly know; now we can only speculate. But how grateful we are that he counseled Nancy to receive the Elders, and that she and her husband accepted the sacred covenants of the fullness of the everlasting gospel! Later, they sealed their marriage in the Holy temple of the Lord in Salt Lake City, thus binding their love together for all eternity. What a joyous day that September 28, 1898 must have been!
. . . the doctors covered Charlie over with a sheet and pronounced him dead. His Mother and a neighbor didn’t accept the doctors’ statement. They pulled the sheet off, put a glass to his lips, and noticed vapor coming from his mouth. They worked and prayed for his life and he overcame his illness. From the effects of this sickness, Charlie’s growth was stunted. He was barely skin and bones at the time, and he never did grow to be tall and husky like his brothers. But at 5’ 6” he was strong, agile, and handsome with his black hair and ruddy complexion. He was respected for his physical strength; neighbors didn’t want to fight with him. Such was his stature in maturity. 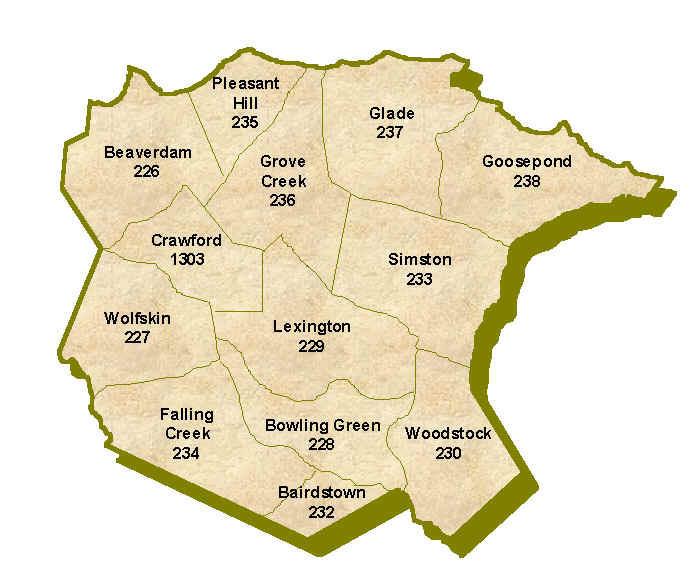 By the time young Charlie was 12, the family had moved to Clinton. There he attended the Sandridge School (below the present day Hooper Canal at the west end of 1300 North). This was the only formal schooling he received, since there was no High School in Davis County at that time. He was faithful in his Church duties as a boy. Their Bishop was O. D. Hadlock. An experience that demonstrates Charlie’s honesty occurred while he was working on a construction crew in West Salt Lake. He used to tell his children of how he and a fellow crew member, his tent mate, had gone shopping for groceries. When they returned to their tent, he learned that his companion had come away with some potatoes without paying for them. Charlie stopped by the store the next day to pay for the potatoes. He always stressed to his children the importance of honesty, and that principle was instilled in the hearts of succeeding generations. As a young man, Charlie was also obliged to demonstrate his high moral standards, in a way not unlike Joseph of old. He dated a girl from Riverdale, and had taken her home. She excused herself for a moment, went into her room, and returned with only a petticoat on. Embarrassed and chagrined, he left immediately and never dated her again. The Owens sent Esther out to be a housekeeper soon after the move to Clinton. She lived with the Bybee family and the Beus family. The Beus took a special interest in her. So did Charlie, who was acquainted with her situation through church and community activities. He felt sympathy for her. In time, he fell in love with her and she with him, and they were married on April 20, 1899, in the Salt Lake Temple. She had turned 16 a month earlier. Charlie was soon to be 22. A year and a half later they had their first child, Ethel Esther, who died in infancy. 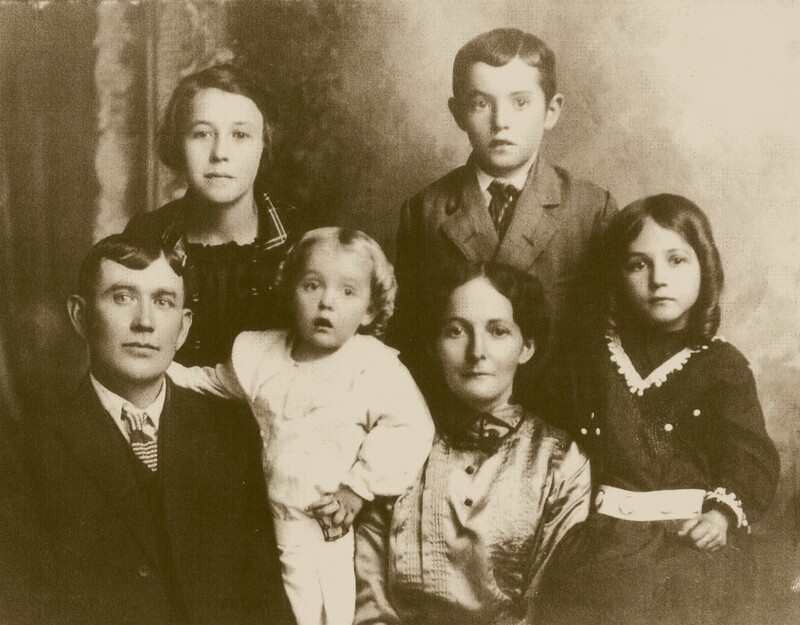 Eight other children followed: Myrtle; Charles Marcus, who died in convulsions at age 2; George Samuel (later called “Jud” by schoolmates and friends); Zilpha Elizabeth (Beth); Mark, who died at birth; Lenora; and twins who died at birth. Only Myrtle, George, and Beth lived to adulthood. Lenora became sick with a kidney infection (Bright’s disease) as a teenager, finally passing away at age 17. Bright’s Disease is an older classification for different forms of kidney disease. It was named after Dr. Richard Bright, who described the condition in the early 19th century. Lack of understanding of kidney function naturally meant that several different conditions could be considered Bright’s Disease. These include inflammation of the kidney, commonly called nephritis. Inflammation may be the result of too much protein being shed through the kidneys, called proteinuria, or hematuria, which causes blood in the urine. As well, Bright’s Disease might describe kidney failure due to high blood pressure or retention of fluids. The children had many friends; the Reid yard seemed to always be a gathering place for the neighborhood children, including the cousins who lived nearby. Each child seemed gifted with special talents and abilities. Myrtle, intelligent and ambitious, took piano lessons and later attended the LDS School of Music as well as LDS Business College in Salt Lake City. George was agile and hard working, a standout in baseball and dancing and a great help on the farm. Beth, with long dark brown hair that was naturally curled, was efficient and self motivated, determined to gain a good education. She, too, attended LDS Business College, and later taught school in Syracuse. Lenora was the “school doll;” she learned to play the piano by ear, and was so proficient that she played as her schoolmates marched out and back in at recess time. “My Mother’s beauty was found in her courage as well as her features. She was orphaned when 4 years old and adopted by Samuel P. and Zelpha Bailey Owen, who joined the Church while in Tennessee and then moved to Utah at Bountiful. She helped the desert to become a garden of beauty. She grubbed the sage brush from the flats just east of the freeway in Sunset, to make way for the fields of grain and alfalfa. That is now part of Hill field. The young mother was also promised, “Thy table shall be spread with the best fruits of the land.” This promise was literally fulfilled, for the apples, peaches, and cherries that Charlie raised in his orchard were acclaimed throughout the area; the year Charlie entered them in the State fair, they won first place. That year, Charlie gave President Heber J. 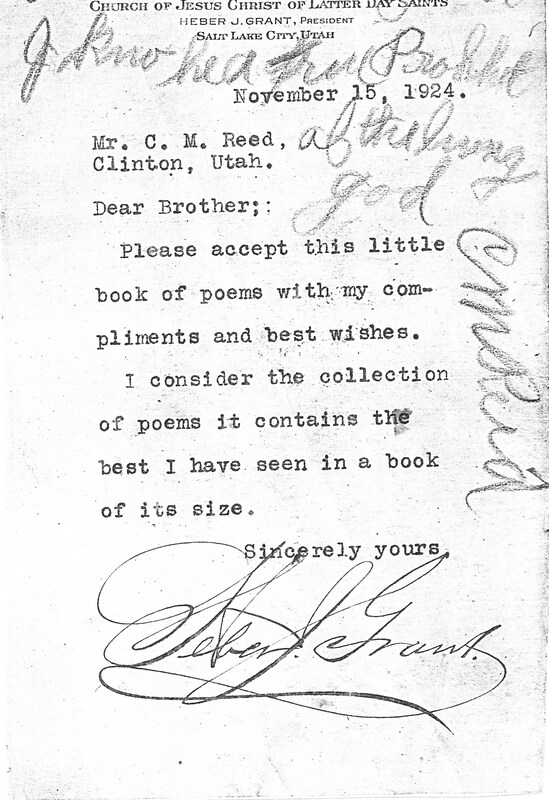 Grant a couple of bushels of apples, and received a book of poetry in return, a banker from Ogden who bought fruit from him would take a friend from back East to the Reid orchard to eat the tasty fruit Charlie produced. As a young man, Charlie had peddled fruits and vegetables throughout the county with his Father. After his marriage to Esther he joined with his younger brother, George, in purchasing forty acres of land there in Clinton. They each took 20 acres, and Charlie planted fruit trees, watermelons, and vegetables. Apples, peaches, cherries, apricots, tomatoes, peas, and potatoes were among the products he grew, peddling them door to door from Salt Lake City to Ogden, and as far away as Evanston. Once, when the enterprising farmer was on a trip to Evanston with his wagon loaded with fruit, the horses were unable to pull the load up over the top of Wasatch Hill, which had to be crossed to reach Evanston. After a struggle, horses and wagon overturned in a tumble. Charlie was in a fix until a Mr. Dalton happened by and helped to right the wagon and lighten the load. Thereafter he was a close friend to the family. Charlie bought more land which he later sold. At one time he owned 60 acres, but sold 40 and retained his original acreage. 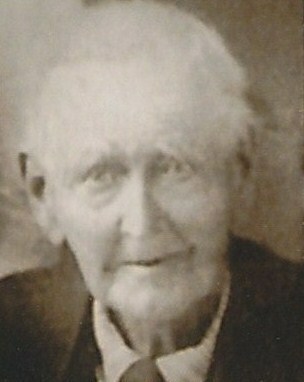 He was among the first to raise potatoes in Clinton; he and Carl Baker had the first two potato diggers a real novelty. He was also the first to have a Nash truck, which he bought in about 1918 to use in his farming and vending business. Later, he raised sugar beets. He participated in helping to build the community by paying his share toward the construction of a tomato factory, a pea factory, and other buildings, and by signing and encouraging friends to sign as sponsors to have electricity and telephone lines put in. He was also generous in helping to build Zion. He was a full tithe payer, though apparently he was never given a Church calling. Once he owed $200.00 in tithing, but had only $200.00 cash to meet coming expenses. He paid the money as tithing. Later he met a friend in Ogden who offered to loan him $200.00. “I don’t need it,” the friend said. “Take it and pay me back when you can.” He subsequently repaid the debt, and always bore witness to his children that the Lord blesses you when you pay your tithing. He also helped pay for the new Clinton Ward Chapel, and bought and donated an organ for the new building. Not only did Charlie peddle fruits and vegetables; he sold musical instruments from the Daynes BB Music Company of Salt Lake City as well. He placed music in many homes in Syracuse, West Ogden, Roy, and Clinton, arranging for a teacher to come from Salt Lake City to teach music lessons in the homes of those who bought instruments. A lover of music himself, he taught himself to play the violin, and encouraged his daughters in their musical pursuits. A big event for the family was the visit of Joseph J. Daynes to the Reid home in his big Pierce Arrow. An additional source of income for the family, particularly in the wintertime, was construction work. Charlie worked with his brothers, Bud and Walt, who were horse traders, on road crews and on the crew that built the Davis Weber Canal. The snow and rain and cold made for difficult working conditions. They slept in tents, and associated with a rough group of men. Under such adverse conditions, Bud and Walt took to drinking, and became alcoholics. They would get drunk and find themselves in jail, and Charlie would have to go get them out. They gave him a hard time, calling him “Mama’s pet,” “Mama’s angel,” because he wouldn’t drink with them. He found he could keep them from belittling him if he took a bit of alcohol with them. He was drunk himself on a few occasions, but in his later years he left alcohol completely, and he always stressed the importance of the Word of Wisdom in counseling the children. Though he had had little formal schooling, he encouraged the children in school and had a small collection of books that he read from, including a biography of Teddy Roosevelt and the story of the Titanic. He was careful to select only good, motivating literature, and appreciated having the Church magazines in the home. Charlie counseled, “Never condemn a person ‘til you’ve walked in his shoes.” He actively helped those in need. He once backed a young man who was just starting out and bought some property from him. He used to bring home derelicts he met on the street on his fruit peddling trips. Esther would mend and wash their clothes and feed them, and Charlie would give them some money to help them along their way. On one occasion, Loss, a friend and neighbor, was without food in his home. His own father refused to help him out, believing he should fend for himself. Charlie learned of the trouble, and asked Loss for a ride to the grocery store. He bought an ample supply of groceries, and, when they arrived at the Reid home, he told Loss to take the groceries home with him. 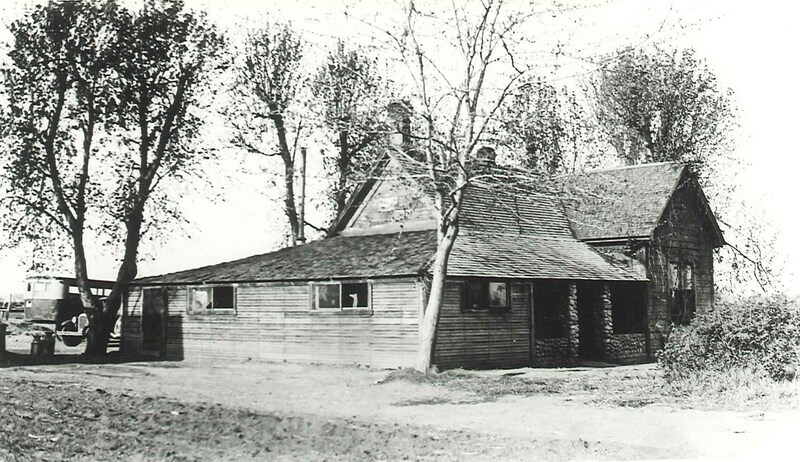 After his Father died in 1907, he cared for his Mother, adding three rooms onto the home in Clinton for her to live in. She wove rugs and peddled produce to help pay for her board and, and lived there until she passed away in 1925. 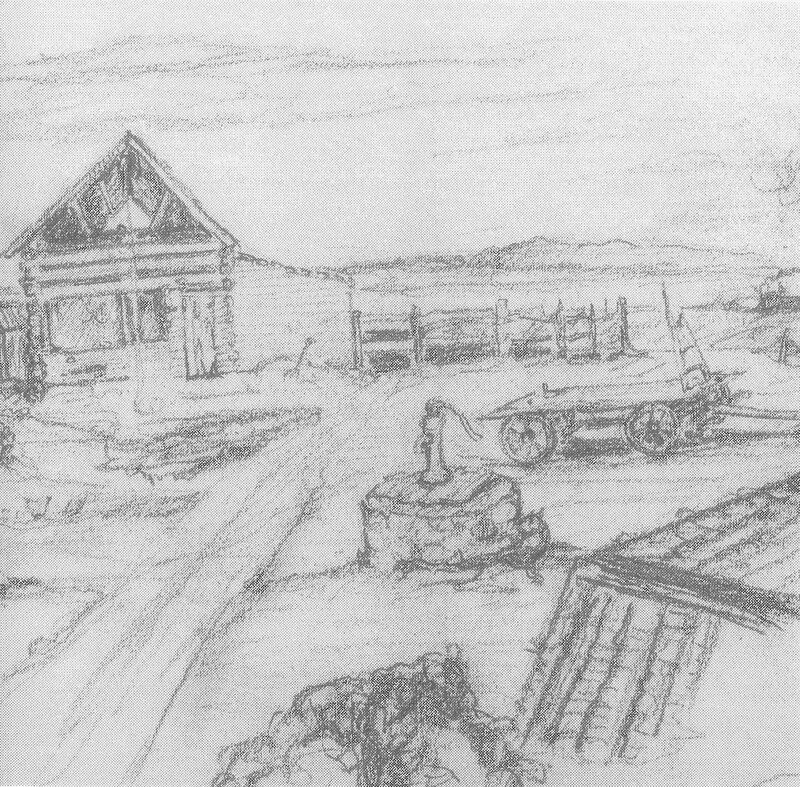 Charcoal Drawing of Charles Morgan Reid Residence in Clinton, Utah by Junior Davis. This view from the roof top of the Clinton home looks west toward Antelope Island in the background. Tragedy struck in the fall of 1926. Charlie was riding atop a loaded beet rack, and moved the rack to the side of the road to allow a rack load of beets coming from the opposite direction to pass. The road was rutted and frozen. Suddenly, Charlie’s rack overturned, throwing him over a fence at the side of the road about a twenty foot vertical drop. He landed on his head and shoulders. Thereafter he began having hallucinations, and was finally sent to the state Mental Hospital in Provo. During the two or three years he was there, he lost a great deal of weight, until he had gone from his normal weight of 160 pounds to a scant 80 pounds. The family visited him as often as they could. During one visit, Charlie told (his son) George that Lenora had come to see him. Lenora had died on October 22, 1928 of a kidney infection. No one had told Charlie about (his daughter) Lenora’s death. Charlie joined her in the Spirit World on September 25, 1929, at the age of 52. So ended the mortal sojourn of Charles Morgan Reid, farmer, father and friend to all who knew him.